Words can't describe how much I love this sweater. The moment it arrived and I opened the box, I had to put it on. It's SO cozy and so soft! I love that it's a little long, too, it makes it even more cozy! I obviously love the grey, but the dark green is super chic, too. You can't go wrong for the price! Also, how cute are these jeans?! I need to go ahead and apologize because I'll be wearing these with every sweater for the next month at least. I love that they're not too destroyed, but just enough to give that super relaxed look. Plus, they're currently 25% during the Nordstrom sale, so it's the perfect time to scoop them up! 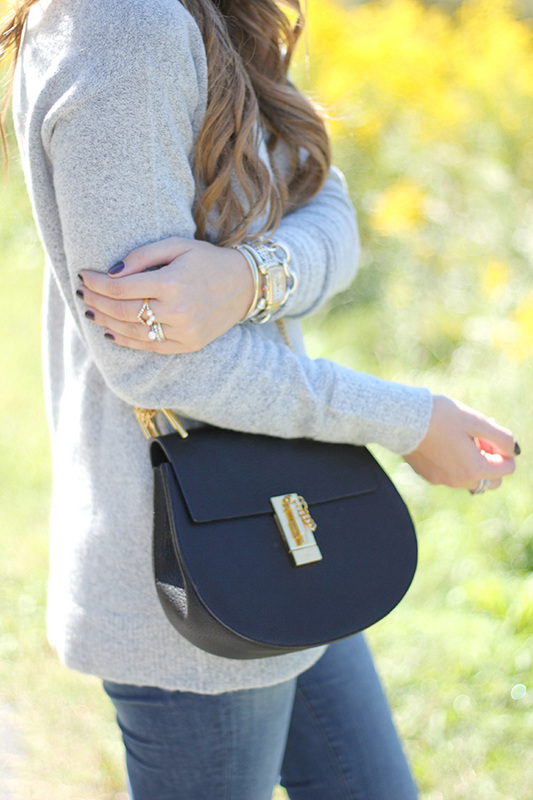 Comfy and stylish outfit! I like your ballerinas very much! 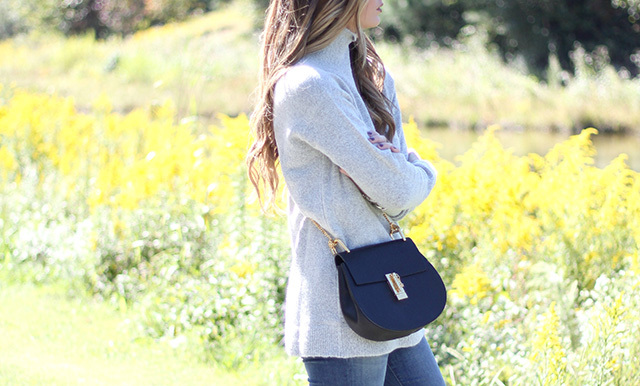 This sweater looks so cozy! Your sweater is lovely, what beautiful photos. I looooove the jeans with that sweater! I'm obsessed with those flats! Love the tassel detail.